WASHINGTON (AP) — Moving to protect the U.S. from advanced missile threats from China and Russia, President Donald Trump on Thursday laid out plans for a new array of space-based sensors and other high-tech systems designed to more quickly detect and defeat attacks. Trump, in a speech at the Pentagon, declared that space is the new warfighting domain. And he vowed that the U.S. will develop an unrivaled missile defense system to protect against advanced hypersonic and cruise missile threats from competitors and adversaries. Trump did not mention Russia, China or North Korea in his roughly 20-minute speech. But the Pentagon’s new strategy makes clear that its plan for a more aggressive space-based missile defense system is aimed at protecting against existing threats from North Korea and Iran and countering advanced weapon systems being developed by Russia and China. 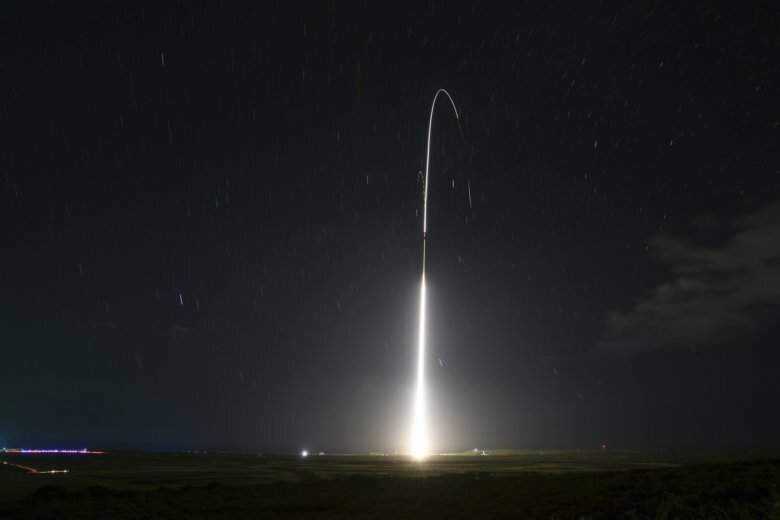 To address that, the U.S. is looking at putting a layer of sensors in space to more quickly detect enemy missiles when they are launched. The U.S. sees space as a critical area for advanced, next-generation capabilities to stay ahead of the threats. Russian President Vladimir Putin unveiled new strategic weapons he claims can’t be intercepted. One is a hypersonic glide vehicle, which could fly 20 times faster than the speed of sound and make sharp maneuvers to avoid being detected by missile defense systems. Any expansion of the scope and cost of missile defenses would compete with other defense priorities, including the billions of extra dollars the Trump administration has committed to spending on a new generation of nuclear weapons. An expansion also would have important implications for American diplomacy, given long-standing Russian hostility to even the most rudimentary U.S. missile defenses and China’s worry that longer-range U.S. missile defenses in Asia could undermine Chinese national security. Associated Press writer Robert Burns and broadcast writer Sagar Meghani contributed to this report.